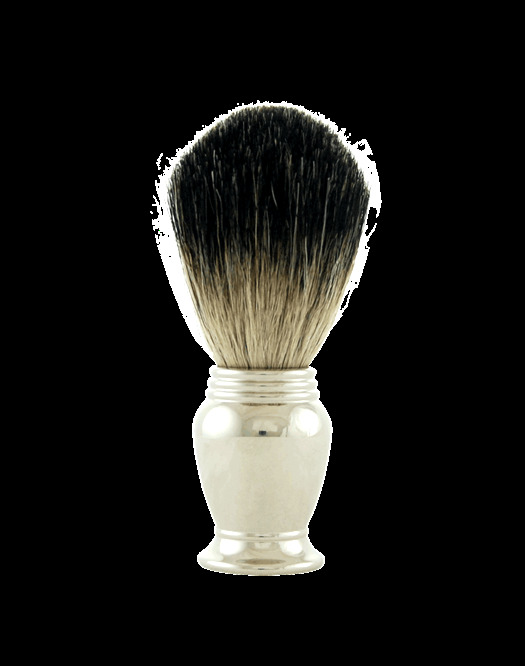 Pure badger hair shave brush with solid mirror finished chrome handle. The weight of the solid metal handle feels good in your hand. Dark badger bristles are not only soft to the touch , but hang onto water to work up mountains of lather in minutes. Knot size: 21 mm .